SYDNEY, AUSTRALIA – February 1st, 2019 – Red Education has been announced as AlgoSec’s Authorised Training Centre (ATC) for Australia & New Zealand, offering administration training for AlgoSec’s client base across the region. 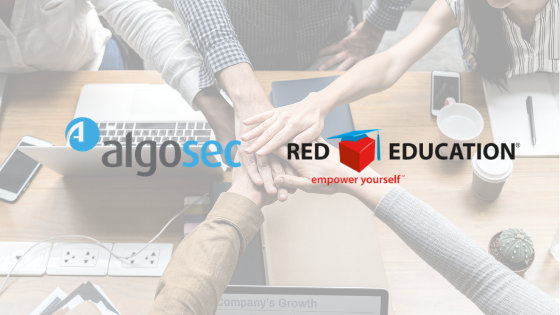 This partnership will allow AlgoSec to focus on bringing further growth to their business and supporting their existing customers, while Red Education will ensure AlgoSec’s clients and partners are empowered with the knowledge and skills they need to extract their optimal value from AlgoSec’s solutions. AlgoSec is the market leader in network security policy management and their solutions are serving the world’s largest and most complex enterprise organisations. Red Education will be providing the 3 day AlgoSec Firewall Analyzer and AlgoSec FireFlow Administration course. In the future Red Education will look to offer more advanced Algosec courses in their portfolio. All courses include hands-on courses consisting of lectures, labs and real-world discussions. All AlgoSec courses will be available in-class, on-site and virtually. Red Education will be delivering AlgoSec courses starting from February 2019. To view all available AlgoSec’s training courses please visit Red Education’s course schedules. Founded in 2003, AlgoSec is a U.S.-based leading provider of business-driven network security management solutions. AlgoSec helps the world’s largest organizations align security with their mission-critical business processes. With AlgoSec, users can discover, map and migrate business application connectivity, proactively analyze risk from the business perspective, tie cyber-attacks to business processes and intelligently automate network security changes with zero touch – across their cloud, SDN and on-premise networks. Over 1,800 enterprises, including 20 of the Fortune 50, have utilized AlgoSec’s solutions to make their organizations more agile, more secure and more compliant – all the time. Since 2005, AlgoSec has shown its commitment to customer satisfaction with the industry’s only money-back guarantee. SYDNEY — May. 04, 2018 —Red Education Pty Ltd today announced a transition of leadership after Rob Howard, Managing Director, sold his shares to Red Education’s co-founder, Daniel Storey. Red Education was founded in 2005 by Rob and Daniel. Throughout the years they were able to draw on their motivational skills and determination to tackle all challenges of growing a small business in the IT market. They succeeded in transforming Red Education from a start-up company being run from a home office to a multi-national company that covers all of the Asia Pacific Region. After nearly 15 years, Rob has decided it was time to leave the company. With this news, Daniel Storey’s position in the company changes from Technical Director to Managing Director, responsible for the company’s overall continued success. “The future is looking very bright for Red Education. 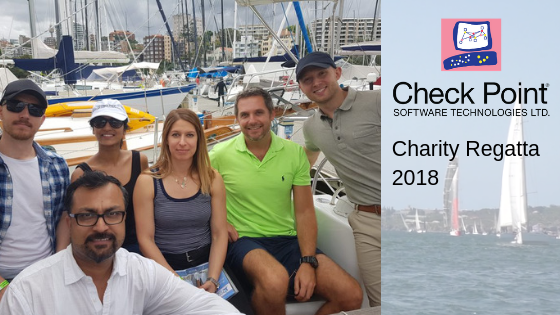 We continue to invest in the APAC region and in Australia to ensure we deliver the best training experience to our clients and continue to grow every year.” Commented Daniel. Daniel Storey is pleased to announce the appointment of Zach Zuravle as Executive Director of Sales and Operations. Zach joined Red Education in 2014 and has been the Sales Manager of the ANZ region until now. With his track record as a rigorous and dynamic manager, he is the logical choice to ensure the organization’s continuing success. “I’m confident that Zach, with his experience from Global Knowledge and his last four years at Red Education, will be the best successor of Rob Howard. I see him as a great leader for a future of continuous growth and guaranteed quality.” commented Daniel. Red Education Thanks Rob Howard for all his contributions and wishes him all the best in his future endeavours. Red Education is the leader in IT training and professional services in the Asia Pacific region. Since its launch in 2005, Red Education has trained more than 50,000 IT professionals of many industries including financial services, government, telecommunications, education, healthcare and many others. 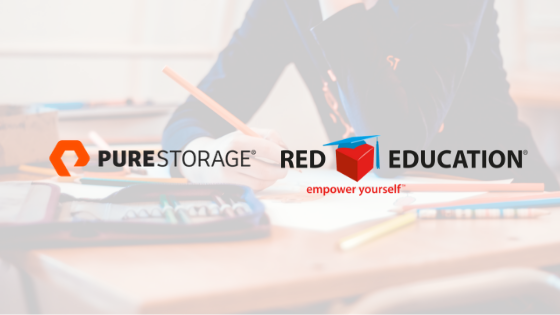 The combination of extensively experienced trainers and courses that balance theoretical concepts and hands-on labs is the formula to Red Education’s class success. Red Education ensures quality class across all delivery methods; in-class, virtual instructor led training (VILT) or on clients’ sites. « How to Monitor ISP Bandwidth With PRTG Then Tweet about It!